If you are in your forties to fifties, you are likely to have an identifiable, reversible cause of memory loss. If you are in your sixties to eighties, memory loss due to either the aging process or dementia is much more common. If there is a relatively rapid onset (weeks to months) of symptoms, a potentially reversible cause of memory loss is more likely. A fluctuating course of symptoms, with periods of clear memory and cognition intervening between episodes of confusion or memory loss, is more likely to be due to an identifiable, reversible cause. A gradual dwindling in memory over many years, even decades, is characteristic of memory loss due to the aging process. A steady decline with mild symptoms progressing to severe symptoms of memory loss within a few years suggests Alzheimer's disease. Several years ago, Denis Evans's research group at Harvard conducted a survey in East Boston and found that literally half the people above the age of eighty met diagnostic criteria for Alzheimer's disease. Their results suggested that Alzheimer's disease, not memory loss due to aging, was the normal clinical course for people as they grew older. However, other investigators have since reported much lower rates of Alzheimer's disease in octogenarians. As I discussed in an earlier chapter, if performance on cognitive tests is corrected for age and education, then few people meet criteria for dementia, or Alzheimer's disease more specifically. But if absolute cutoff scores on cognitive tests are used to make the diagnosis without accounting for the impact of age or education, then a large proportion of elderly people will meet the diagnostic criteria for dementia, primarily Alzheimer's disease. This example shows that the impact of education (and culture) on cognitive test performance is almost as large as the effect of age itself. Education increases brain reserve capacity and thus decreases the likelihood of memory loss and intellectual decline. My colleague Dr. Yaakov Stern published a paper in the Journal of the American Medical Association demonstrating that highly educated people can mask memory loss by talking around the problem'' in the early stages of Alzheimer's disease. Presumably, their association cortex around the hippocampus is better developed, giving them a cognitive reserve that can be brought into play when the brain's frontline attempt at recall fails. So if you're highly educated, even subtle memory loss may be more serious than it seems, because it says that your strong cognitive reserve is breaking down. Within the brain, the immune system interacts closely with nerve cells in several regions and is triggered in a variety of ways. The complement pathway (a sequence of enzymes proteins) plays an important role in the immune response, and an overactive complement response can damage different areas of the brain. In patients with Alzheimer's disease, complement activation can trigger the formation of amyloid protein that collects in clumps to make up the pathologic amyloid plaques. Researchers are now studying anti-inflammatory agents that can block or inactivate complement in the treatment of not only Alzheimer's disease, but also mild to moderate memory loss during the aging process. Having a first- or second-degree relative (sibling, parent, aunt, uncle, grandparent) with Alzheimer's disease does not mean that you're destined to get it. Only the rarest form of Alzheimer's disease, the early-onset familial type, is unequivocally genetically transmitted. But even if your mother or another close relative had early-onset Alzheimer's disease, unless you carry one of the genetic mutations that cause it, your risk is no higher than that of someone without a family history of the disease. You might have heard that exposure to aluminum can cause Alzheimer's disease. Scientists have been studying this issue for many years, ever since finding that aluminum accumulates in the abnormal brain tissue of people with Alzheimer's disease. The evidence has been difficult to sort out, and many studies have offered contradictory findings. You can be exposed to aluminum in drinking water, in foods cooked in aluminum pots and pans, and possibly in foods and beverages packaged in aluminum. Some antiperspirants contain aluminum, which can be absorbed through the skin. But such environmental exposures tend to be extremely small. Although scientists continue to study the Alzheimer's-aluminum connection, most experts discount aluminum as a significant risk factor for the disease. All of the cholinesterase inhibitors are equally effective in temporarily stabilizing memory and other functions of people in the early to middle stage of Alzheimer's disease, although people's response is highly individual. People who aren't helped by one of the drugs might respond to one of the others. After using one of the cholinesterase inhibitors for several weeks, about half of patients are somewhat more alert and better able to care for themselves and engage in activities. The drugs may have other benefits, according to a 2003 report in the Journal of the American Medical Association. This review of twenty-nine studies found that cholinesterase inhibitors might also ease some of the psychiatric symptoms of Alzheimer's disease, such as depression, anxiety, hallucinations, and delusions. If medications for Alzheimer's disease can improve memory and related cognitive function in people with the disorder, can they confer the same benefits to people with normal memory The answer is, maybe. A 2001 study compared the performance of a small cohort of commercial airline pilots who took donepezil for one month with those who took a placebo. The pilots who took the Alzheimer's disease drug performed better on difficult flight-simulation tasks. The researchers interpreted the results to mean that donepezil might have improved the pilots' procedural memory their retention and execution of complex skills. 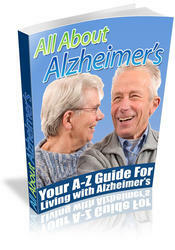 ple with Alzheimer's disease, although not for people with normal age-related memory loss. Treatment of these types of dementia is two-pronged. First, we aim to prevent further injury to the brain by controlling vascular problems the root cause of vascular dementia and one of the causes of mixed dementia. This means managing hypertension, high cholesterol, and diabetes with a healthier diet, more exercise, and, if necessary, medications. Second, we treat symptoms of vascular dementia with the same medications that are approved for Alzheimer's disease. Clinical trials have found that galantamine, donepezil, and memantine bring about temporary improvements in memory and related cognitive domains, as well as in daily functioning in patients with vascular dementia. Joan complained about memory loss even though her symptoms were caused by depression. In other words, memory loss masked her clinical depression, for which treatment was successful. Therefore, if you have begun to experience memory loss and you also feel down or blue (or lack all feelings) most of the time, depression may be the source of your memory problems. Depression itself may be related to stresses and traumatic events in your life, but sometimes depressive illness can strike for no apparent reason. This type of depression is likely to be due to abnormal chemical neurotransmission in the brain, which can be treated successfully with medications, as Joan Marciano discovered. With these various drugs of addiction, high doses often lead to amnesia, which is a technical term for memory loss. Being unable to recall, or only partially recall, the horrible subjective experiences when the drug's toxicity was at its peak makes it even more difficult for the addict to recognize the need to quit. Also, many addicts welcome drug-induced memory loss as a way to escape from life's problems, and this reinforces their desire to continue their drug use. But those who are able to kick the habit in time alcohol and other addicting drugs alike can regain all their intellectual abilities, including memory. Diabetes, which is caused by deficiency of the hormone insulin produced by the pancreas in the abdomen, leads to damage to very small blood vessels in different parts of the body, including the brain. Mini-ministrokes are the result, producing cognitive deficits that include memory loss. nourishment. Hippocampal nerve cells have high metabolic needs and are very vulnerable to hypoglycemia death of nerve cells with memory loss can result. Fortunately, most diabetic patients who maintain good control over their blood glucose levels do not experience this type of brain damage. Identifying a reversible cause of memory loss should be your top priority carefully go through the list in this chapter and read the earlier relevant chapters to see if you have a condition worsening your memory. If you think there might be such a cause, or you're not sure, consult your doctor. The FDA does not recognize age-related memory loss to be an illness and is hence unwilling to approve any medication to prevent or treat this condition. This attitude has worked against research development efforts for both pharmaceutical agents and alternative remedies, because no company will invest tens of millions of dollars in clinical research on a compound or natural substance if at the end of this effort there is no hope of regulatory approval. This situation has led to most studies of new medications being conducted in patients with Alzheimer's, an FDA-recognized disease, rather than in people with mild memory loss. In the Introduction, I described the story of David Finestone, a forty-nine-year-old man whose memory loss for names was probably caused by a small stroke. His treatment regimen consisted of cutting down on saturated fats, eating more fresh fruits and vegetables, taking an aspirin a day for its anticoagulant effects to prevent further strokes, and ingesting a capsule of 800 IUs of vitamin E daily. At that time, the antioxidant and antiaging properties of vitamin E were well known, but there were no data to indicate that it could directly prevent memory loss. However, recent studies have produced positive results, and vitamin E is now a frontline strategy to prevent memory loss due to the aging process. Is common following the profound trauma of bereavement. What is less well known is that memory loss occurs during the grieving process. In my own experience, I had poor concentration with memory lapses for several weeks after my father's death. I lost track of what people told me at work and in my personal life, and I was functioning below par for quite a while. It was as if my brain was a sieve, with information not being registered properly for later recall because my mind was preoccupied with thoughts and emotions and scenes that involved my father and the rest of my family. The second leading cause of dementia, vascular dementia is the result of one or more strokes that interrupt blood flow to the brain. The lack of perfusion damages neurons by starving them of 130 oxygen. In contrast to Alzheimer's disease, which commences , figure 7.2 Risk of Alzheimer's Disease by Age gradually, vascular dementia often starts suddenly right after a stroke and then progresses in a stepwise fashion, with further declines in function resulting from subsequent small strokes or cumulative cerebrovascular compromise. You can reduce the risk of vascular dementia by taking steps to control the conditions that can lead to stroke hypertension, heart disease, diabetes, and obesity as well as by not smoking. There are medications available, such as aspirin and warfarin, that can improve cerebral blood flow and possibly help prevent further memory deterioration following a stroke. Selenium is a trace element that has antioxidant properties and is claimed to be an antimemory-loss agent, but it has not been tested rigorously in people who have memory loss. There are other elements magnesium and zinc in particular that are necessary for normal brain function in small quantities, or traces. Until more solid evidence is forthcoming, and given the potential toxicity of these metallic elements and compounds, I don't recommend taking supplements of any trace metals. The amounts of these various substances present naturally in foods (and most multivitamin tablets) easily reach the FDA minimum daily requirement guidelines, so nutritional deficiency states are extremely rare. Cholinesterase inhibitors represent the only class of medications that are FDA-approved to treat dementia, specifically Alzheimer's disease. After tacrine came donepezil (Aricept), rivastigmine (Exelon), and galantamine (Reminyl). Although these medications were developed to treat patients with Alzheimer's disease, the pharmaceutical industry has become aware that the market for mild memory loss is much larger. Aricept has been shown to improve cognition in patients with multiple sclerosis, and is now being tested in people with mild to moderate memory loss. The other newer cholinergic agents may have similar properties. 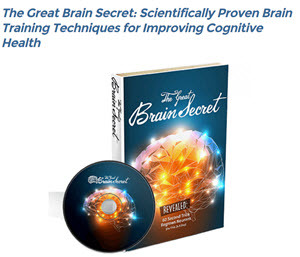 The underlying rationale is that cholinergic nerve cells decay in all of us during the aging process, and cholinesterase inhibitors can reverse this deficit and thereby improve cognitive performance. If you wish to take a memory enhancer, what medication should you choose from this list Obviously, you cannot take the whole lot for several reasons the high cost and large number of capsules required, the increased risk of toxicity, and the lack of solid evidence that combinations are better than single agents. Adding selegiline to vitamin E, for example, does not improve matters for patients with Alzheimer's disease, even though individually each agent has a small effect. Critically, combining too many medications can be dangerous because the risk of toxic interactions will skyrocket. The solution is to follow the medication guidelines in the following tables, based on whether you have a normal memory or have mild memory loss. Stroke in its various forms is more common than Alzheimer's disease, and contributes to memory loss in a large number of people. While you may think that your memory loss is caused by the aging process, you may actually have been having ministrokes in the brain, and accurate diagnosis with prevention and treatment can stop this type of memory loss in its tracks. May reduce destructive amyloid formation that occurs to a small extent during normal aging and to a precipitous degree in Alzheimer's disease. 3. May diminish the inflammatory response in the brain. Abnormal immune reactions are believed to underlie many brain disorders and may contribute to age-related memory loss. Depression is a common reversible cause of memory loss. Depressed people are often slow in their thought processes, and some find it difficult to retrieve memories. Depression causes a deficit in attention, and hence new information is not registered properly, so attempts at recall often fail because the external stimulus meeting someone for the first time, for example isn't recorded as a permanent memory in the brain. These two symptoms slowing down of thought processes and poor attention underlie memory loss in depression. The cholinergic compounds lecithin and Alcar just missed the cut because the data are much weaker than for Aricept (or Exelon or Reminyl). DHEA (discussed in the next chapter) is not on my list, not only because its efficacy against memory loss has not been established, but also because it is more toxic than the medications that are on the list. The data on hydergine and the nootropics do not suggest sufficient action against memory loss. The COX-II inhibitors did not make it to the list either, mainly because they have just been released and we have no information on their use against memory loss. Ongoing and future clinical studies may demonstrate significant antimemory-loss properties for the COX-II inhibitors, in which case Celebrex or Vioxx might well vault to the top of the list. A combination of general health measures like proper diet and regular exercise, memory training, and appropriate medications (particularly if you have mild memory loss medications are less critical if you currently have a normal memory), provides a comprehensive strategy to prevent memory loss due to the aging process. 2. If you have mild memory loss, you should first look for a reversible cause. 4. This field is evolving rapidly, so you need to keep up with the latest developments, which are certain to be given considerable play in the media. 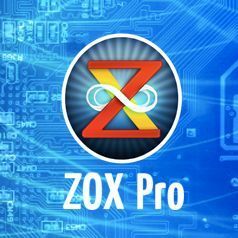 These new developments may make it necessary for you to change your strategy over time for example, you may need to switch to COX-II inhibitors in the future if they are shown to be effective in treating mild memory loss. If you, or someone close to you, are not sure if alcohol or another substance is causing subtle memory loss, there is a simple way to find out stop taking the drug for two to three months and see if your memory improves. If it does, you have your answer, and staying off alcohol or the drug that you are using is the solution for your memory loss. But if you are unable to stop for even a few weeks, this proves that you are addicted and need to take specific steps, such as joining Alcoholics Anonymous or Narcotics Anonymous or another addiction program, to help you get over your addiction. Memory exercises and training this is the right time to begin using all the methods to improve learning and recall that you can use, before memory loss begins to occur. Identifying reversible causes of memory loss should not be an issue if you have a normal memory, but it is worth checking the list to see if you have a reversible condition that can be corrected. Medications to prevent future memory loss, or to treat mild forms of memory loss, should be used to supplement, and not replace, general health measures like proper diet and exercise. 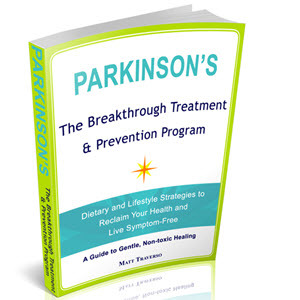 You may wish to try the alternative medications in the list, or you may prefer to Be Realistic Long-Term Therapy Is Needed to Protect against Memory Loss You must not forget that a truly effective preventive strategy will take many months to years to exert its full effects, and being impatient about the fact that medications are not giving you a rapid response will be self-defeating. Bear in mind the reality that for age-related memory loss without a specific reversible cause, there is no miracle cure. Blocking further decline, and hopefully experiencing a moderate degree of improvement in memory, should be your goal. Memory loss, depression, lethargy Physical and mental slowness, weight gain, constipation, cold intolerance Poor concentration, memory loss Generalized weakness, fatigue Abnormal gait, unsteadiness on feet Stomach, gastrointestinal complaints chug along for years with minimal memory loss induced by a specific, reversible cause like depression or medication toxicity, because it is too subtle to affect daily functioning. Then the process of age-related memory loss, which has been progressing slowly but steadily in the meantime, catches up and adds an extra wallop that leads to clear-cut memory loss. In other words, the two types of memory loss may each be very mild, but when added together, memory loss becomes obvious. Unfortunately, many people who develop memory loss assume that it must be due to the aging process and do not consider the possibility that reversible causes like hormonal and nutritional abnormalities may be the culprits. The good news about hormonal and nutritional abnormalities is that if they are recognized early, they usually improve and can often be completely reversed with the right treatment. For hormonal abnormalities, early recognition is the key and physician consultation is required. To prevent nutritional causes of memory loss, in addition to eating a diet low in saturated fats and rich in fruits and vegetables, taking a daily multivitamin tablet that meets the FDA requirements for the major vitamins (B1 to B12, A, C, D, E) is the best strategy. For a promemory effect, higher dose supplements of the antioxidant vitamins A, C, or E are necessary. Follow the physical exercise regimen (chapter 5 and this chapter), but go easy on running and lifting weights. Equality of the sexes does not extend to bone structure you need to protect your knees, ankles, and hips more than men of your age. Perform moderate, regular exercise three to six times per week use any mixture of aerobic and anaerobic exercise that suits your interests. Memory exercises and training this is the right time to begin using all the methods to improve learning and recall that you can use, before memory loss begins to occur. Identifying reversible causes of memory loss should not be an issue if you have a normal memory, but it is worth checking the list to see if you have a reversible condition that can be corrected. If thyroid deficiency causes memory loss, can giving thyroid hormone to people without this hormone deficiency boost memory The answer is no the body's internal regulatory system maintains a fine balance in the levels of thyroid and most other hormones, quickly getting rid of the excess hormone that is ingested. An additional factor weighing against these hormones is that they cause a variety of side effects (differs markedly among different hormones) when given in high doses, thus reducing their potential utility as a long-term preventive strategy against age-related memory loss. Don't feel shy about using pen and paper Notebooks (paper pen or computerized) and lists are excellent memory aids. And if you suffer from moderate memory loss, you need to take this a step further keep detailed lists and schedules, and paste important information in prominent places around the house. Vitamin E's broad antioxidant and antiaging properties vaulted it to the top, particularly as a long-term preventive measure against future memory loss. Vitamin E should be taken as a single daily capsule of 400 to 800 IUs, but you can go up to 1,200 IUs (a maximum of 2,000 IUs if you're very adventurous). There is a very small risk of bleeding if you also take anticoagulants like Coumadin for the same reason, be cautious about combining vitamin E with aspirin or ginkgo biloba. Fortunately, in the very rare instances of bleeding caused by taking vitamin E, it is likely to begin gradually, so there will be time to reverse the problem by just stopping vitamin E.
Obviously, the most effective diet and exercise (physical and mental) program is just that a diet and exercise program, not just one or the other. From a health standpoint, this combination needs to be executed on a steady, continuous basis. Fits and starts are not very helpful in preventing memory loss. Stick to a sensible diet without drastic changes and exercise regularly, preferably a few times each week. Memory training to maintain mental sharpness is also important. Once you convert these changes into regular habits you will be on automatic pilot, and the regimen will not seem so difficult to maintain. In children, nerve cells are still reproducing and growing, and heavy metals like lead wreak havoc on DNA and the process of cell reproduction. In adults, the nerve cells have already been fully formed, so the potential for brain damage and memory loss is much lower, though it still exists. In our Memory Disorders Center, we have seen a handful of middle-aged patients with possible heavy metal or organic solvent (benzene, toluene) toxicity, usually from a work-related source. In such cases, the facts can become a little murky if workmen's compensation claims are involved. 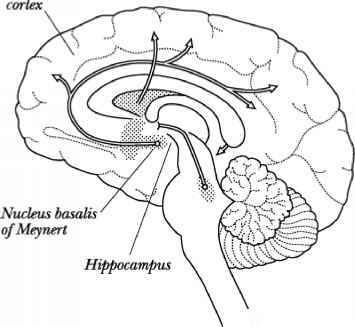 poisoning are those that need oxygen the most the basal ganglia that control motor movements and hippocampal nerve cells. Naturally, motor movement abnormalities and memory loss are common complications. If the person survives, the death of nerve cells leads to motor and cognitive deficits that neither improve nor deteriorate over time. Animal studies show that chronic stress can lead to increased formation of free radicals. As previously discussed, these free radicals, including bad oxygen, can inflict damage on vulnerable cells in the hippocampus and other brain regions. The outcome, not surprisingly, is memory loss. There is a third, indirect, way in which stress can induce memory loss. Stress stimulates the sympathetic nerves that supply the heart and affect blood pressure. As a result, chronic stress increases the likelihood of heart disease and high blood pressure. High blood pressure and heart disease can, in turn, lead to the development of strokes, including ministrokes, in the brain that can affect memory. The elusive prion, discovered by Nobel laureate Stanley Prusiner, must not be forgotten. These microscopic prions play a role not only in neurological disorders, but possibly in memory loss due to the aging process itself. I suspect that we will hear a lot more about the role of prions in memory loss. A saturated fat-rich diet is the worst dietary culprit. It can lead to memory loss because high cholesterol levels and plaques begin to block the brain's arteries. Eventually, blood clots can lead to ministrokes and cognitive deficits, depending on which specific part of the brain has been damaged. If hippocampal or frontal cortex nerve cells, or the pathways connecting these regions, are destroyed, memory loss is the result. High levels of saturated fats also generate toxic free radicals, which can damage brain cells even further. Lowering saturated fats boosts the antioxidant potency of your diet, which is beneficial for memory and the aging process more broadly. A diet rich in fresh fruits and vegetables will prevent vitamin deficiencies, promote memory, and reduce the risks of cancer, heart attacks, and stroke. A large part of the human genome, or genetic map, focuses on controlling protein synthesis within the brain. As of now, we do not know which genes are responsible for triggering the process of neuronal degeneration and death in the hippocampus and frontal lobes, or for that matter any other part of the brain. It is likely that we all possess both ''good memory genes and bad memory genes, and once we discover them we will be able to directly tackle the problem of age-related memory loss that affects most of us as we grow older. The long-standing defeatism about preventing and treating memory loss has now given way to a feeling of growing excitement that we will soon have the keys to the memory kingdom. But we have just scratched the surface, and new knowledge will eventually render obsolete our current repertoire of preventive and treatment strategies, including some of the components in the Memory Program. Several potential therapies for age-related memory loss are still in the development stage. These include a new crop of cholinesterase inhibitors, treatment with combinations of cognitive enhancers, stimulation of neuronal growth, blocking the formation of toxic compounds in the brain, and genetic strategies. Most of these attempts are likely to fail, but the few gems that emerge will revolutionize the field of memory loss research and potentially could completely reverse the memory loss that occurs during the aging process. Most studies of treatments for mild memory loss have evaluated people over a few months or at most a year or two. If there is a slight improvement in memory functioning, will this effect be maintained ten, twenty years down the road Also, will continuous long-term usage result in medication side effects that we did not see in the short-term Although we don't yet have the answers from long-term therapeutic trials, the research evidence from short-term to intermediate-term studies with a variety of medications is now sufficient to help build a sound program to prevent memory loss due to the aging process. Unani is a system of medicine developed centuries ago in Arabia and Persia, which later mingled with local influences in the Indian subcontinent. Its popularity has dwindled over time. Chinese medicines include a variety of plants and their extracts to treat both symptoms and diseases. Many of them are meant to promote health and block some of the effects of aging even in the absence of disease, and some of them have recently risen to prominence in the fight against age-related memory loss. Most of these older medical systems focused on the maladies of youth and middle age, because few people lived to a ripe old age in those times. Hence they had few medicines for age-related memory loss. The one exception Chinese medicine, from which several remedies arose to treat the diseases of aging, including memory loss. Ginseng seems to boost cholinergic neurotransmission in the brain. Given the link between loss of cholinergic nerve cells and memory loss, this may explain its memory-enhancing effects. Ginseng contains a class of compounds called saponins, also known as glycosides, which may affect the function of neurotransmitters in ways that are not fully understood. In experiments involving people ranging from telegraph operators to students, ginseng reduces the time required to perform some neuropsychological tasks. This activating property may, in turn, lead to improved registration of new memories. Given the limited knowledge base on ginseng in people with mild memory loss, I am currently not recommending it as part of your promemory program. The preparations listed above are not known to have any major side effects, so I am not campaigning against their use either. This loss of cholinergic nerve cells causes a delay in the brain's ability to process information quickly and accurately, which is why aging leads to slower reactions as well as to mild memory loss. In Alzheimer's disease, the nucleus basalis is nearly wiped out within a few years after clinical onset of the illness, causing severe memory loss. Cholinesterase inhibitors are compounds that inhibit the action of this enzyme, acetylcholinesterase. Treatment with cholinesterase inhibitors indirectly raises the level of acetylcholine by preventing its breakdown, thereby leading to improved attention, mental arousal, learning, and memory. In fact, cholinesterase inhibitors have now reached the forefront of treatment in Alzheimer's disease, and memory loss more broadly.